There was a lot of expectation around “Marvel’s Daredevil” in the comic community. We have already seen the same hero on the big screen and that movie with Ben Affleck didn’t come close to the potential of the character. That is also the reason why I was skeptical about his role of Batman, but that’s another subject entirely. 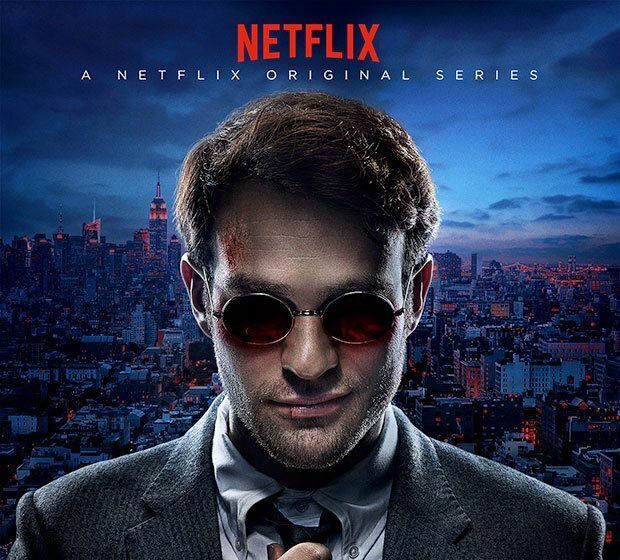 “Daredevil” was released by Netflix on April 10th and the whole season was released at once. For fans that was a good thing, since we could watch the season in a marathon tempo and I must say that the series didn’t disappoint. After the last episode I can tell that “Daredevil” made a new standard about superhero series and how they should be made. Charlie Cox was a nice choice for the main role. He’s an actor with a lot of potential, and his roles in “Boardwalk Empire” and “Theory of Everything” gave us a hint how good he could be if someone gives him a chance. Netflix took that risk, Drew Godard rolled the dice and Cox took the costume of unusual superhero, superhero who acts when all others are silent. In the announcements there were two more reasons for all the hype about “Daredevil”: Vincent D’ Onofrio and Rosario Dawson. D’Onofrio took the role of Daredevil’s arch enemy Kingpin/Wilson Fisk and Dawson was the “Night Nurse”, a character who gave a hint what’s all about with “Marvel’s Daredevil” in Netflix production. Daredevil is a street-level hero, he is darker and more realistic than his “space oriented” colleagues. Daredevil is also an intro into a whole new phase of Marvel Cinematic Universe. Phase two of the universe imagined by Joss Whedon will end with “Avengers 2”, and Daredevil takes us a few steps beyond the movies and series we saw until now. He takes us to the drain and asphalt, he takes us to the bloody reality in which, if you’re not careful enough – you die. That’s the reason why he needs the “Night Nurse”. During the season he bleeds, he is wounded, near death and in a dumpster. He needs someone to take care of him, and that someone is “Night Nurse”, comic love interest of Luke Cage and fetish of all street-level superheroes. We are used to Rosario Dawson in Tarantino/Rodriguez movies, and in “Daredevil” she gives another perspective of the character. The series looks real, feels bloody enough to be different than “Arrow” or “Flash” in DC TV-verse and it doesn’t have useless empathy and a sugar coating in the moments where they don’t have any logical purpose. “Daredevil” is different than all the other characters. Stan Lee wrote in the very first comic that he’s a different superhero. Daredevil is handicapped, he’s blind, but he makes an impact with his life. We are used to see handicapped people as character burdened with their complexes and shortcomings, or in recent years as geniuses in spite of their disability (Hawking, Temple Grandin, Hellen Keller), but until “Daredevil” we weren’t used to seeing them as superheroes. “Daredevil” took the disability and made it the advantage. If you think about some disabled kid in the room, watching “Marvel’s Daredevil”, then you’ll see how important impact it could make. There are comic conventions in the series, all right, but “Daredevil” is based on a comic book. What I like the most about this series is the feeling it gave me. Frank Miller is one of my favorite writers in the media, he wrote “300”, “Dark Knight Returns”, “Sin City” and many others, but his work on “Daredevil” could be considered as a peak of his career. It’s nice to see that the character in the series was based on his heritage. That’s the way to go. Miller’s atmosphere is the thing that makes “Daredevil” so bloody and appealing. His mix of disability and heroism makes good combination and metaphor to the reality of the world in which we’re living in. We are blind to the wrongs and injustice around us, and Matt Murdock/Daredevil is literally blind but he reacts. That inversion makes “Daredevil” worth of research in terms of sociology and studies of the popular culture. In thirteen episodes of the Season 1, Matt Murdock will have to answer some serious questions. Vigilantism is not approved by the community, but in the society that does nothing to punish the responsible it’s inevitable. Is the course he has taken the right one? Should he trust his closest friends? Should he push them away? All these questions are clichés of the genre, but in the series they are met with the due respect and a hidden ace in the story. All “corny moments” were left to Wilson Fisk, another type of the crime lord whose ambition isn’t to rule the world, it’s to be appraised by it. With all the emphasis of Fisk, Daredevil in spite of his blindness didn’t go for empathy, he went for ability. With all that considered, I would like to see Punisher as another vigilante on the screen under the Netflix supervision. That darker and truer feeling of the show makes the platform ideal for the adventures described in “Punisher MAX” by Garth Ennis. Shows like that should be rated R, and I see Netflix or Amazon as the only platforms which aren’t bothered by such rating. Daredevil goes the right way and shows us how the superhero shows should be made. His fight for justice against corrupted officials has just began. I think of season one as an introduction. Daredevil has come to stay. Only minuses of the series were repeated focus on “my city, this city etc.” (made me feel nervous, since we already had too much of such justification in “Arrow”) and Fogggy/Murdock fallout near the end of the season. Foggy and Karen are Daredevil’s friends and sidekicks since the beginning of the comic, and the fallout (which was necessary) was a bit overstated. Currently, comic fans have a lot of shows in their plate and some of them are fighting to survive (“Constantine”), some are good, but a bit corny from time to time (“Arrow”, “Flash”) and some are lost within the bigger universe (“Agents of S.H.I.E.L.D.”). “Daredevil” took the best elements from all of them and took the crown for now. We’ll see where the show will land within the bigger (MCU) picture. I have every trust in Joss Whedon. It’s time for masked heroes. It’s time to go to “Civil War”. Go and see “Daredevil”. It’s made just right. What will DC answer to that? Can’t wait to see. We’re definitely in the Golden age of comic-book adaptations.